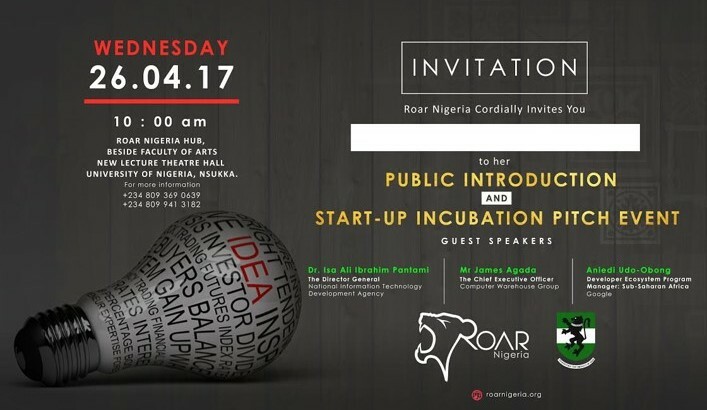 The University of Nigeria and BOC Innovations are having the Public Introduction of the Roar Nigeria Hub, the first full-fledged university embedded technology hub in West Africa. Roar Nigeria is a technology hub established by a collaboration between University of Nigeria Nsukka (UNN) and BOC Innovations (Benefiting Our Community) in 2016. It is situated at the Nsukka campus of the University and will develop an ecosystem that will foster technology innovations that become marketable products and services. These businesses will benefit the country and the sub region by creating jobs, generating wealth, improving the local economies and empowering the Naira. Moreso, years of research and research experience resident within the University can become marketable, sustainable and social impact products to the benefit of our communities.